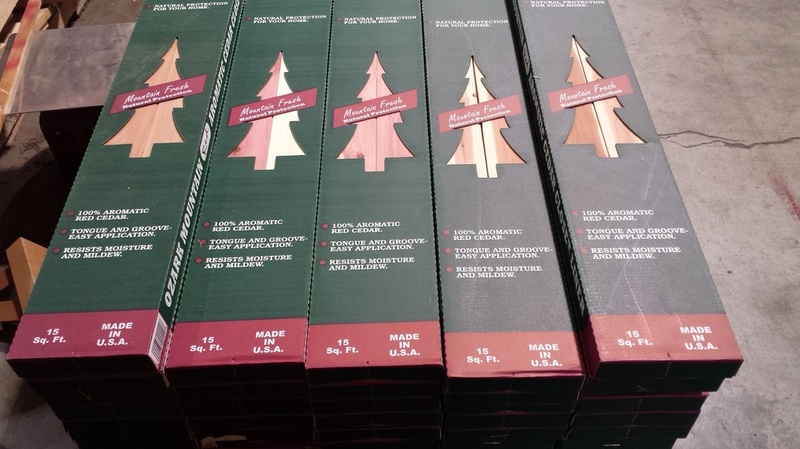 This is the go to wood for blanket chests, closets, jeweler boxes, or anything that you want that nice cedar smell. We stock Aromatic Cedar rough lumber and pre-milled Closet liner in 15 sf boxes. Aromatic Cedar trees tend to be slower growing than other species of cedar. Though Aromatic Red Cedar trees are widely distributed throughout the eastern half of the United States, it is a very slow-growing species, and most trees harvested tend to be fairly small in diameter. 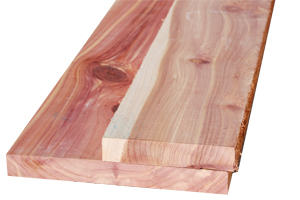 Because of this, Aromatic Red Cedar boards tend to be knotty and narrow.